For each campaign you must identify which of these groups is your target, as it is then possible to create content that will bring success in this area. Secondly, Larson asks, “What are the KPIs for that marketing goal?” Which is reliant on having selected a target group in the first step. 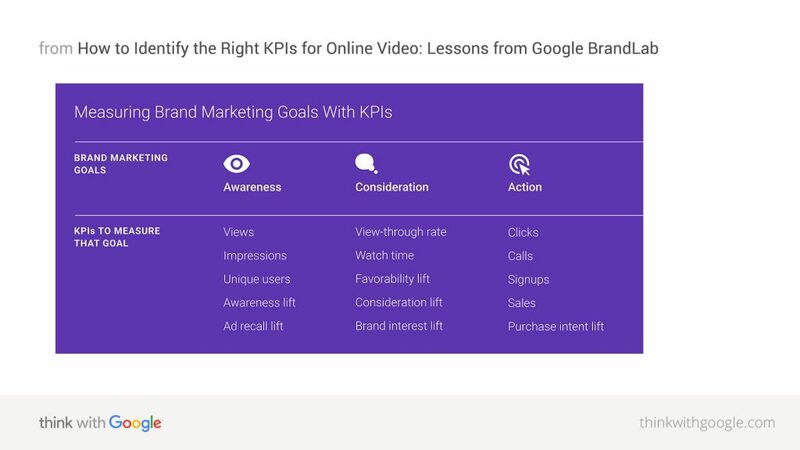 BrandLab have created a chart that is designed to help brands to choose the KPIs that are most relevant for goal – be that awareness, consideration or action. The third question that Larson asks is, “What are the best video analytics tools to measure your KPIs?”. Once your KPIs have been selected, you must understand how best to quantify them. The three main tools are on YouTube itself – Brand Lift, YouTube Analytics and reporting that is found in AdWords. BrandLab has also created a table that shows the best tool for the job, and you can always poll consumers by creating a Google Consumer Survey that is specific to your brand/product/campaign. Whilst the metrics given in YouTube Analytics, Google Analytics and AdWords are useful, the Brand Lift solution is able to measure your campaign’s success in a broader sense, giving an idea of how the ad has affected awareness, consideration and purchase intent. 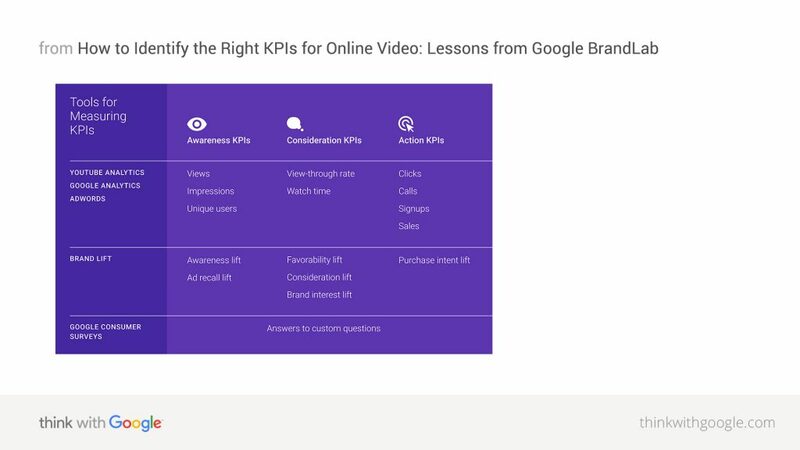 Finally, Larson asks, “How will you optimise for your KPIs?” Larson suggests that finding an industry benchmark to which you can compare your campaign is ineffective because there are far too many variables to be able to create a good comparison. Instead, BrandLab encourage marketers to set their own benchmarks by comparing their current campaign with their previous ones. 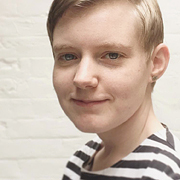 For similar campaigns that shared KPIs, targeting and budget, the comparison is direct, however if no such past campaign exists, then Larson advises that marketers use in-campaign reporting and optimisation to adjust the creative and targeting in real time. This may involve A/B testing in order to establish your own creative baseline.